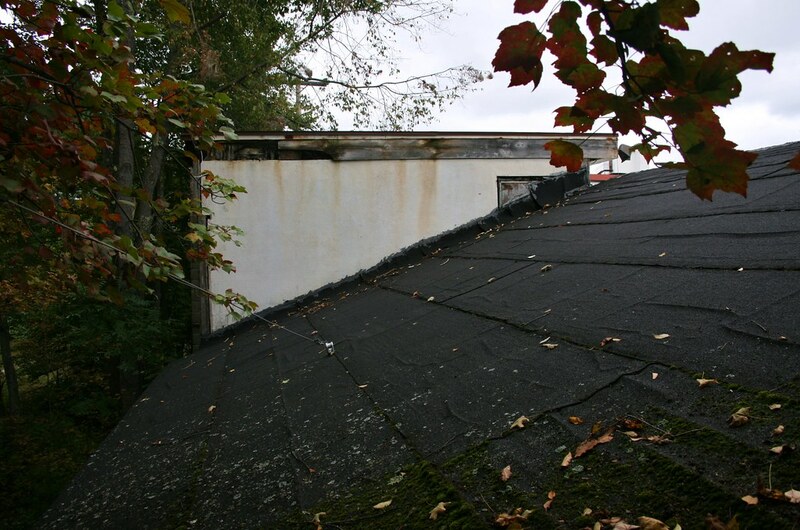 Here, you can see the sloped roof line leading to the back of the property. The white wall here was the exterior wall of the cabana's second story office. You can see the old frame of the door, which has been blocked by the new roof line. I believe that much like other Catskills hotels, namely The Pines, the second floor of the cabana was once used for sunbathing. It is not clear why the owners decided to eliminate the second story of this building and remove the old flat roofs.